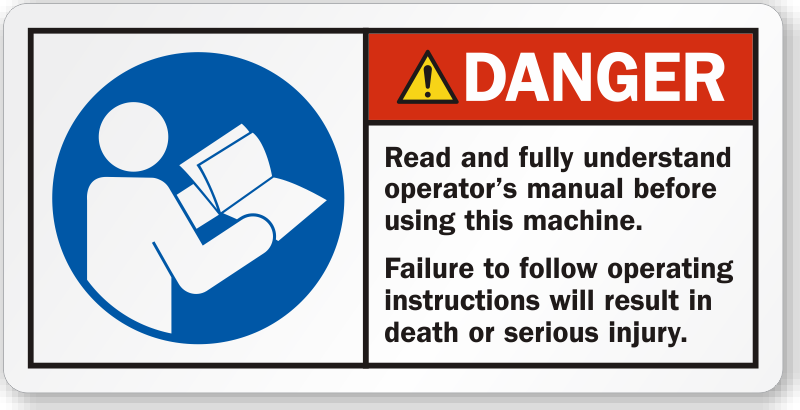 Our wide selection of Danger Machine Safety Labels guarantees safety not only when a machine is operational but also before and after it is put to work. While our ‘Lock-Out, Tag-Out Labels’ remind workers to follow lockout/tagout procedure before working on equipment, ‘Keep Hands, Fingers Clear Labels’ warn workers against any crush hazard while a machine is running. 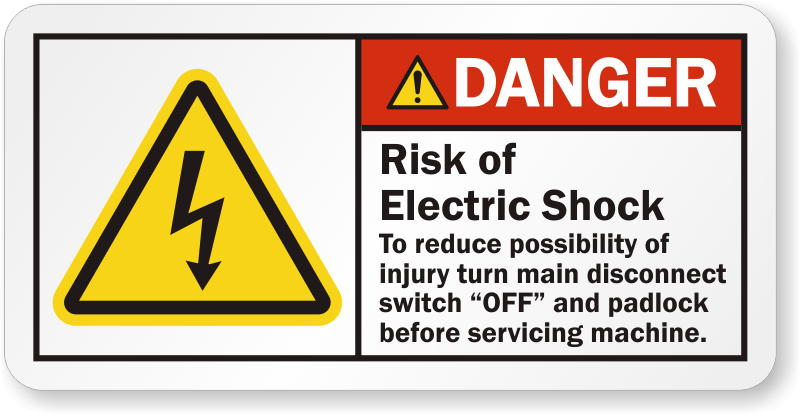 All kinds of safety labels pertaining to machines can be found in our gallery. • Our labels are backed by quality adhesive and ensure durability for years to come. 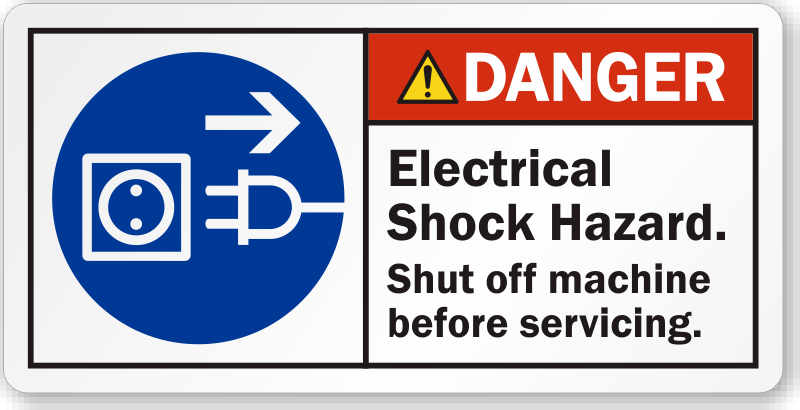 • Most Danger Machine Safety Labels are designed as per OSHA and ANSI design regulations and readily reinforce compliance. • Pictogram as well as legends are clear and can be understood easily. 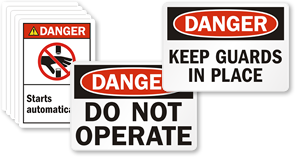 • Safety labels are great safety reminders at workplaces. They help people prioritize safety and exercise caution at each step.